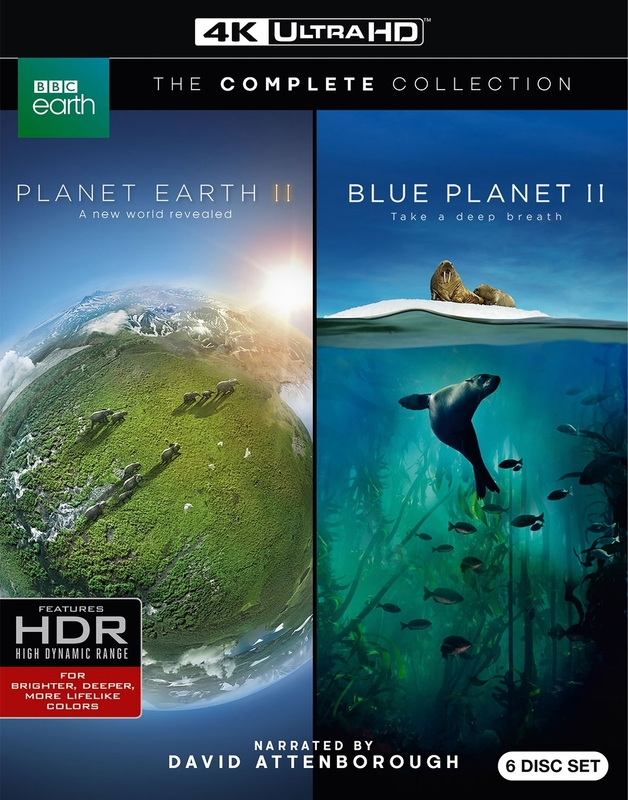 Planet Earth II is an immersive exploration of the jungles, mountains, deserts, islands, grasslands and cities of the world. Journey to the four corners of the globe to discover the extreme forces that shape life in each of these iconic landscapes and the remarkable ways animals manage to overcome the challenges of surviving in the wildest places on Earth. Our understanding of ocean life has completely changed since The Blue Planet aired in 2001. Travelling from the icy polar seas to the vibrant blues of the coral atolls, Blue Planet II shares these astonishing new discoveries. Meet the strange octopuses lurking in the depths of the Antarctic ocean. Watch giant trevally fish leap to catch birds in mid-air. And ride on the back of a hammerhead shark as it attacks.